Leverkusen - After his 'instinctive' finish gave 1. FSV Mainz 05 a 1-0 win over Bayer 04 Leverkusen that lifted Thomas Tuchel's side into the Bundesliga top six, Maxim Choupo-Moting believes qualifying for Europe isn't beyond the Carnival Club. 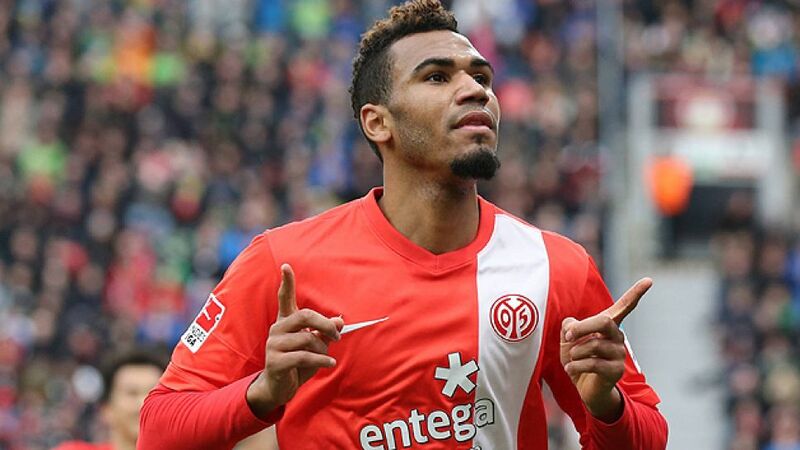 Question:Maxim Choupo-Moting, just a week after Mainz's point at Schalke, you've won in Leverkusen. You must be very pleased. Maxim Choupo-Moting: Of course I'm very happy. To win, keep a clean sheet and put in such a good display at Leverkusen, who are second in the table and one of the best teams in Germany, shouldn't be taken for granted. Huge compliments to the whole team. Question: You scored the decisive goal. What went through your mind? Choupo-Moting: Everything happened very quickly. Stefan Bell's cross from the right came in quickly and I acted instinctively. The only option I had was to divert the ball towards goal with a back-heel. You practice that sort of thing in training and it's nice it worked during the game today. Question: How difficult was it to keep Leverkusen at bay after the goal? Choupo-Moting: We knew Leverkusen would create a lot of chances and be dangerous down the wings - they have the quality to do that. But we managed to hold firm and created opportunities of our own. Maybe we could have made more of our counterattacks, but it doesn't matter. We got the deciding goal. Question: Mainz are now firmly in the race for the European places. How does that feel? Choupo-Moting: Of course it's everyone's dream, but it's not our main objective. We just want to keep playing good football and stay in the top half of the table. If we're as close as we are now at the end of the season, we'll naturally want to sneak our way [into the European spots]. That would be very special for Mainz. Question: You have only played the full 90 minutes in five of your 22 matches this season. Would you prefer to be playing more regularly? Choupo-Moting: Every player wants to be in the starting line-up, that's normal, but we always respect the coach's decision. I feel like I can play the full 90 minutes on a regular basis again, but whatever happens, I will do my best. Question: What have Mainz learned this season to enable you to pick up points at places like Schalke and Leverkusen? Choupo-Moting: I think we're able to remain completely focused for 90 minutes. One lapse in concentration is enough to concede a goal against the top teams, then things become twice as difficult. The coach prepared us very well for today's game and made it clear that we have to be clinical in front of goal. We have a good team spirit and there is great competition for places, which helps everyone put in that little bit more. Question: Mainz are generally regarded as a tough opponent. Why is that the case? Choupo-Moting: The Mainz philosophy is to make things as difficult as possible for our opponents. We always want to be tough to play against and try to express ourselves more at home. At the moment, we're doing that very well.